Check out the full illustration here. You can read more about QReport here. Digital documentation makes it much easier to conduct datacollection and -processing tasks. By optimising the entire process, from inspection to final report. 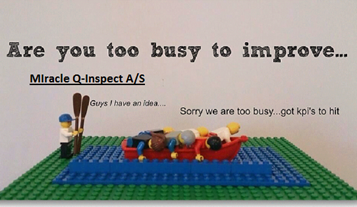 QReport ensures better, faster and more efficient inspections for your organisation by applying the advantages of digital documentation. Your organisation can save 50% on your inspection and reporting activities – don’t be too busy with improving your KPIs to make your business more cost-efficient. If you would like to know more about digital documentation follow us on LinkedIn and Twitter or feel free to contact us. We will be more than happy to answer any questions you might have.